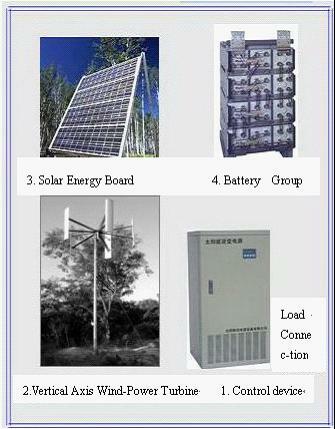 FGDM1.6-360KW ( GUPS ) is the wind power - solar energy multi-compensated power system using the natural wind power and the solar energy producing the electricity for the usage of daily life, lighting and other kinds of power supply. this kind of turbine is good of the rolling way and noise-free. So it can be installed almost everywhere shuch as on the top of the house and the advertising board. this GUPS system is of easy erection, operation and automatic control.